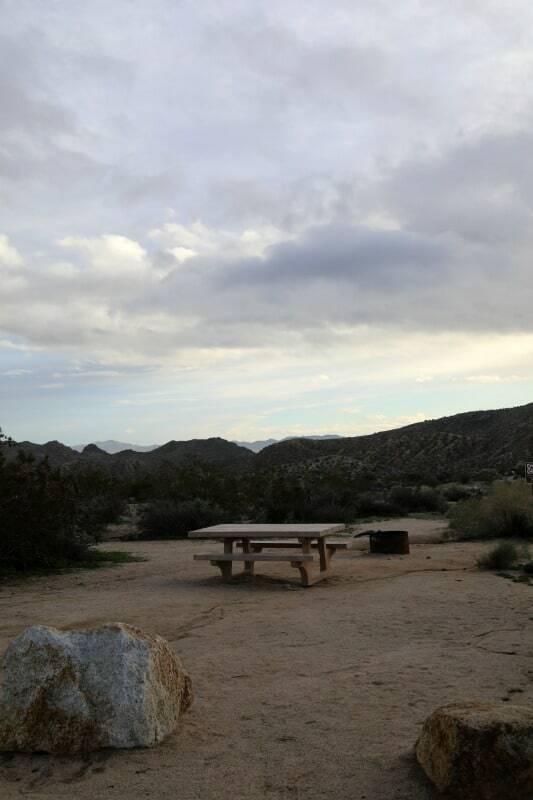 The Cottonwood Campground in Joshua Tree National Park in the southern portion of the park approximately 25 miles from Indigo, California. There are two loops of a campsite along with group camps. 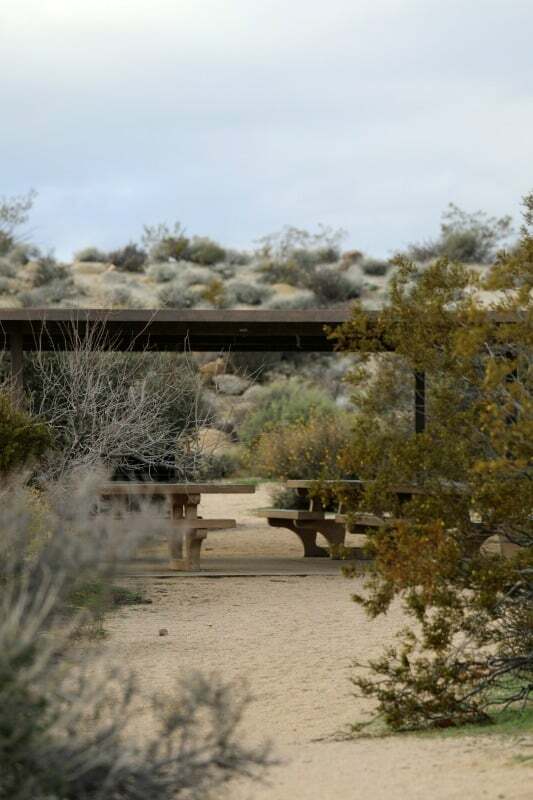 During the busy season from October through May, reservations are required at this campground. 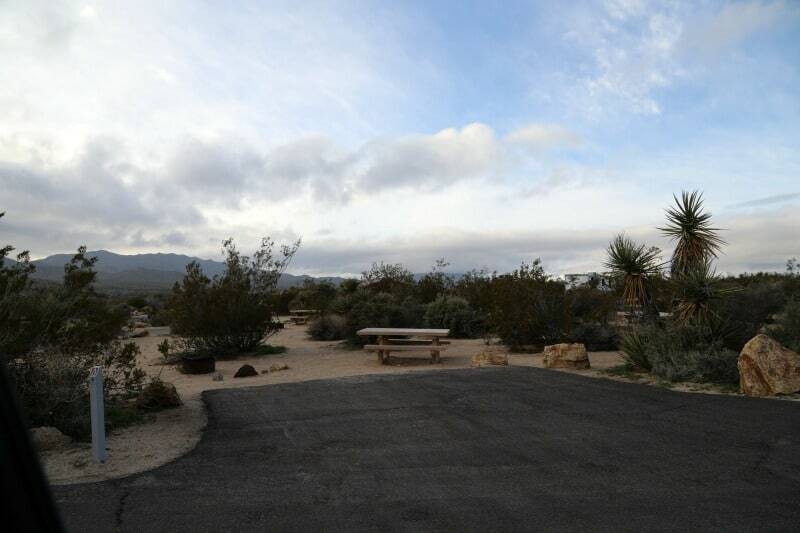 The campground has running water and flush toilets nicely situated among the campground loops. One thing to know about this campground and most of the camping at Joshua Tree is there are cactus prominent in the campground. 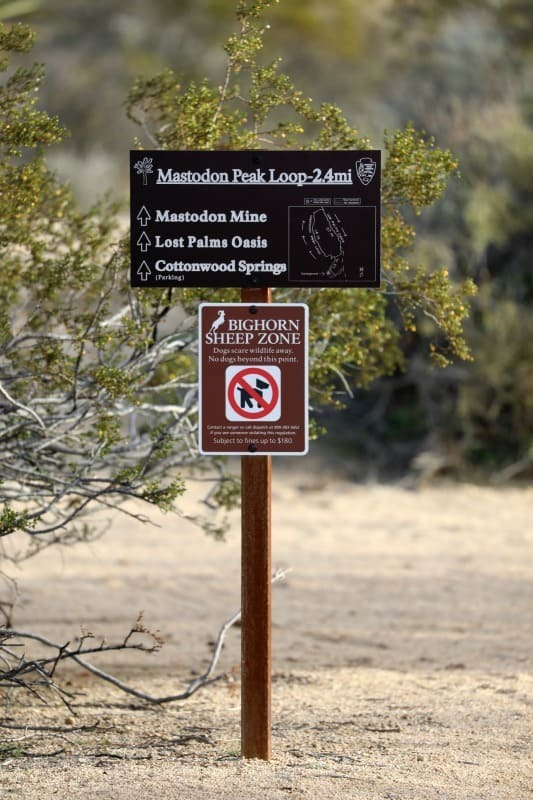 If you are camping with your kids or a pet please be careful and aware of where everyone is walking. Make sure and pack comfortable but durable shoes so your feet are protected. We saw some great birds during our visit to the Cottonwood Campground along with a Desert Black-tailed Jackrabbit that moved way to quickly for a photo. 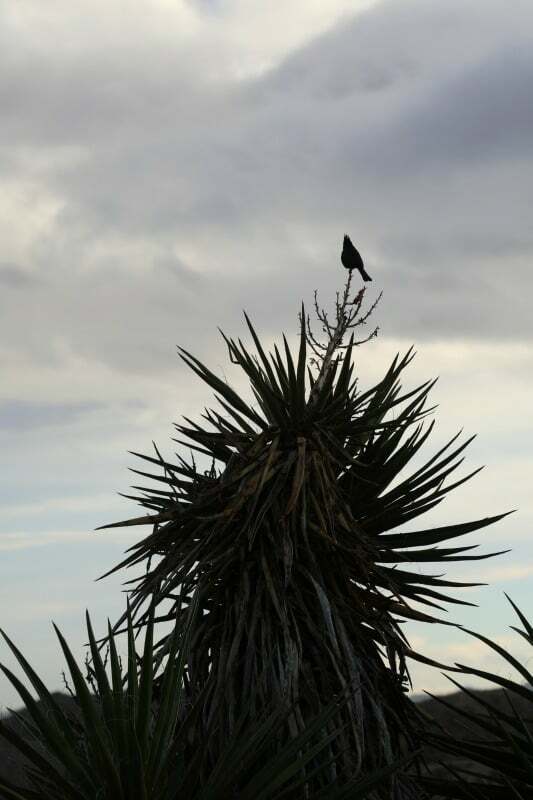 We found ourselves driving the loops a few times looking at all of the birds that were in the bushes and cactuses. RV Length: RVs and trailers are allowed in sites if space permits. A few sites can accommodate longer 35 feet RVs. These are sites 1A, 3A, 5A, 9A, 11A, 13A, 15A, 17A, 19A, 21A, 23A, 25A, 27A, 29A, 31A, 1B, 3B, 5B, 7B, 11B, 15B, 17B, 21B, 23B, 27B, 29B, and 31B. 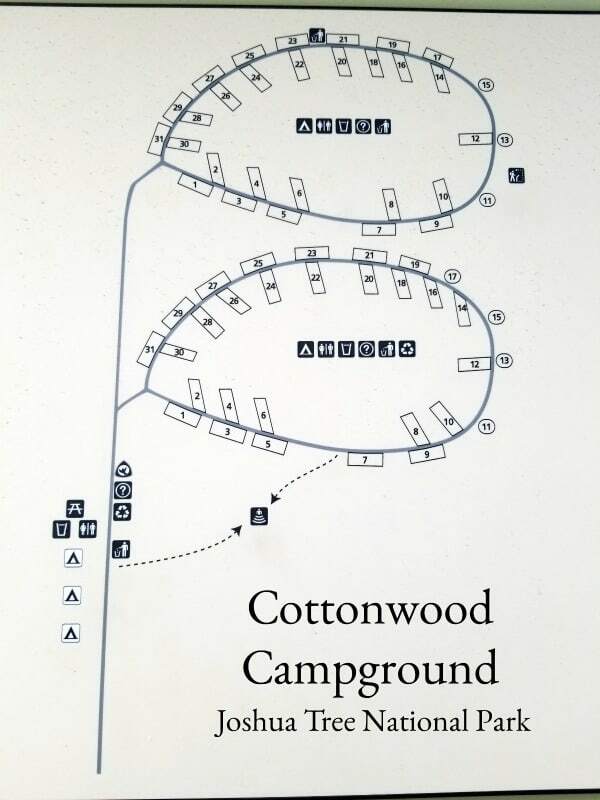 The Cottonwood Amphitheater is ADA accessible from Loop A. 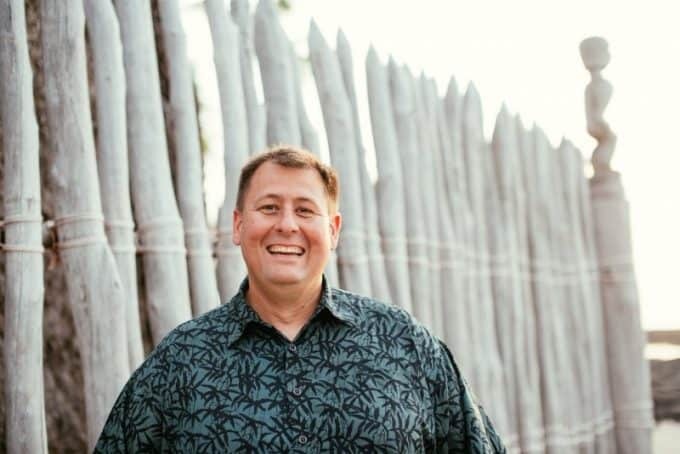 There are no ADA accessible campsites in the campground. If you are looking to reserve an ADA accessible campsites please look into Jumbo Rocks Campground, site 122 and Black Rock Campground, site 61 which are both ADA accessible. Quiet Hours: 10 pm to 6 am. Generators: 7-9 am, noon-2 pm, and 5-7 pm. 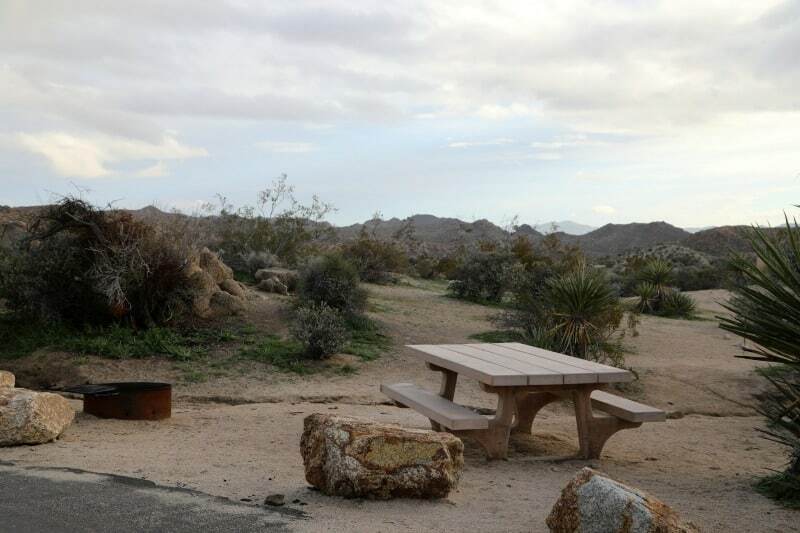 Amenities at each campsite: Fire ring and picnic table. Firewood: You will need to bring your own firewood to the campground. The maximum number of people in a campsite: A maximum of six people, three tents, and two vehicles may occupy an individual campsite. Is firewood available for purchase? No, you must bring your own firewood. 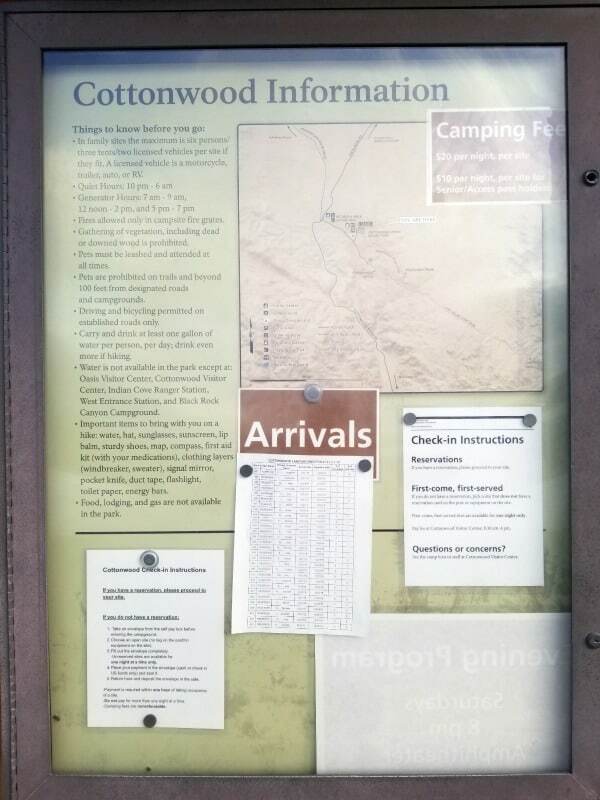 The Campground is near the Cottonwood Visitor Center in the southeast part of the park. 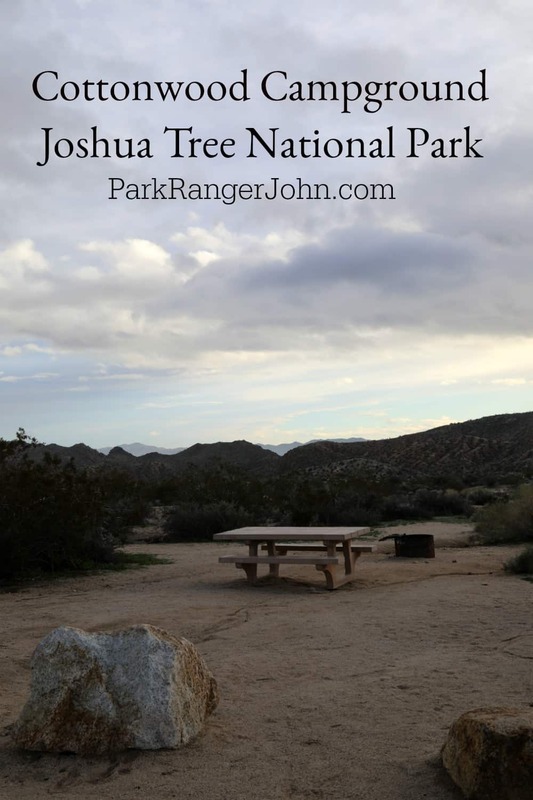 Take Interstate 10 to the Mecca/Twentynine Palms exit and follow signs to Joshua Tree National Park. A maximum of six people, three tents, and two vehicles may occupy an individual campsite. A vehicle towing a trailer, pop-up, tent trailer, or fifth wheel, or a motorhome towing a vehicle, is considered two vehicles. 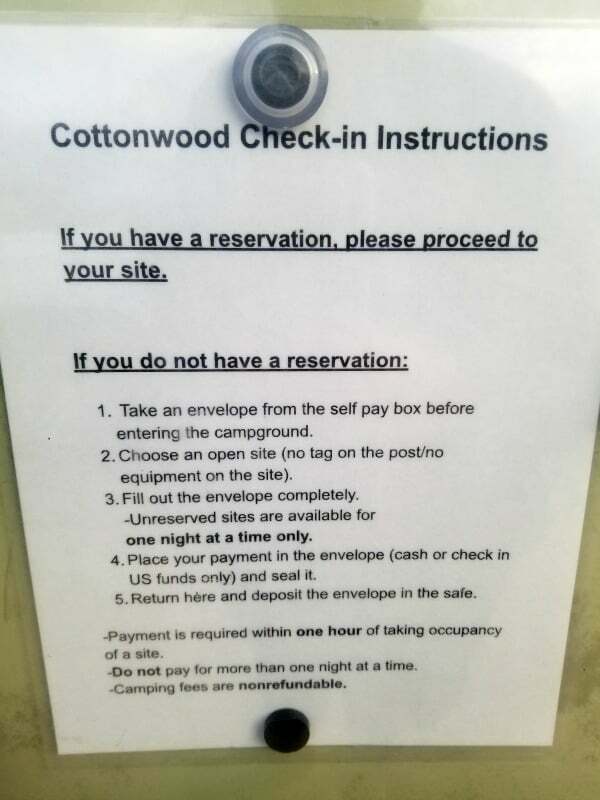 Camping fees must be paid within one hour of selecting a campsite. There is a 30-day camping limit each year. Only 14 of these nights may take place from October-May. 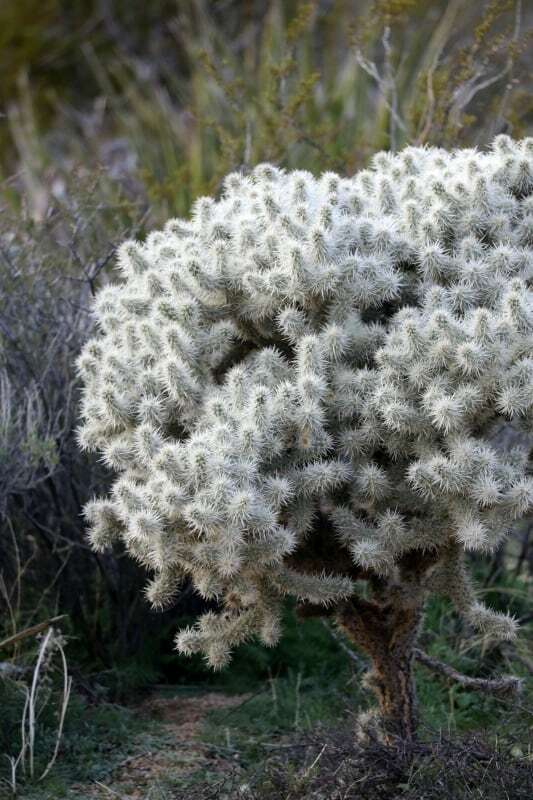 Cactus are common in the Cottonwood Campground! Please be careful with kids and your pets! We saw some fantastic birds along with a great Desert Black-tailed Jackrabbit that sadly moved too quickly for a photo.